If nothing, the aftermath of the Avengers: Infinity War frenzy has set the Marvel fandom on a prophesising spree. While some fan theories suggest that Captain Marvel might lead the battle against Thanos, others following the comics are hoping Nebula will step in for the Dark Lord. But would female characters be so invested — in terms of storylines and screen gravitas — a decade ago? A quarter of a century since he first penned a script for Hollywood, American screenwriter Zak Penn, things have changed. From superhero flicks being taken seriously by industry insiders and audiences alike, to dealing with a motley of socio-political themes, these films have come a long way, says Penn. Films in the superhero genre have been accused of being mere money making ventures, using crass entertainment to lure audiences. Some even call it ‘escapist’ and ‘hyper-gonadal’. Not quite for Penn. “People have come to understand that the source material doesn’t dictate how well-crafted the end product is,” says theReady Player Onescreenwriter. There is a difference in superhero films and films in the same genre, adapted from comic books. “When you see a movie like Logan get nominated for best screenplay, that’s an improvement. I think people have come around on that issue,” he adds. Also encouraging to note is the thumping box-office nod to female-character led films like Wonder Woman and the like. Following suite is the Harley Quinn spin off from Suicide Squad . “The early X-Men movies I worked on, for example, dealt with a ton of timely social issues. But now, with the gender politics of it all, there’s no question that things are changing, for various reasons,” says Penn. While dealing with the task of scripting stories set in fantasy worlds, it’s important for the X–Men script writer that he weave in a poignant humane side to all of his offerings. “One of the most important things, and something that Steven Spielberg talks about a lot, is that you have to find a human character who has human problems, that are relatable for people,” explains Penn. One cannot begin a superhero story simply with the character donning a costume and landing people up in jail. “Though writing a more human character like the Hulk is easier than say writing for a character like Thanos, you still have to find a personal way into it,” he adds. For Penn, though it is important that films elaborate on themes and larger issues, that should not be a scriptwriter’s starting point. “You need to start by coming up with a story that is telling, and the themes flow in organically. For me, if I start with a theme, I end up with something that feels like like an essay than a story!” he says. Inspite of making sporadic appearances in ensemble casts, the character of the Hulk never quite metamorphosed into a superhero brand of his own, unlike his peers. “It’s the nature of the character,” says the creator of the 2008 cinematic début of the green giant. 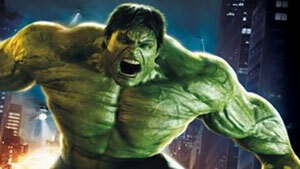 “The Hulk is the hero and the villain of his own story. I always say that he is a Jekyll and Hyde story, and hence, inherently appeals to a limited audience.” Unlike other Marvel characters who are struggling to do the right thing, Penn feels the Hulk is more of a horror story with the protagonist endorsing a very relatable dark and uncontrollable side. For the remainder of the year, Penn will be working on scripts for the nextMatrixinstalment and for the adaptation of Marvel’s science-fiction comic hero, ROM. “They both are in the writing stage, so I’m afraid all I can tell you now is how boring it is to stare at my computer screen!” Penn concludes, with laughter.